Mexican fare is a melting pot of cuisines. It started with the native foods and flavors of Mexico and then eventually took on culinary influences from Spain, Europe, India, and even China. What has resulted in a rich selection of ingredients combined in unique ways. Meat was scarce before the Spaniards arrived, so the natives of Mexico used corn and beans as their main nutritional staples. Chiles and heavy spices were employed to give their dishes complex flavor. Mexico's seaside communities relied on the plentiful array of seafood as a source of protein for their dishes. Soon the Spaniards brought over garlic, onions, cheese, wheat, chicken, and more. The native Mexicans soon incorporated these new food items into their indigenous dishes. One of the first things that may come to mind when you think of Mexican food are chiles, which makes sense considering chiles are indigenous to Mexico and have been part of the cuisine for thousands of years. There are many types of chiles, such as the spicy jalapeno, the aromatic ancho, and the fiery serrano. They are key ingredients in Mexican food, including the classic dish of chiles rellenos. Chiles are utilized not only to add spice but to also bring flavor to a variety of recipes, from soups and sauces to salsas and mole. Many dishes, in fact, are designated by their sauces which almost always include some type of chile. Chiles can be used fresh, whole, smoked, dried, or powdered. They can be considered a spice. Another widely used ingredient is beans or frijoles, and it would be hard to find any Mexican kitchen without a variety stocked in the pantry. You be familiar with black beans and pinto beans, but there are also plenty of other brownish and black beans, like golden Peruvian and flor de junio. They are used to make dishes such as refried beans, bean salads, soups, and the traditional dish frijoles de olla (Mexican pot beans). 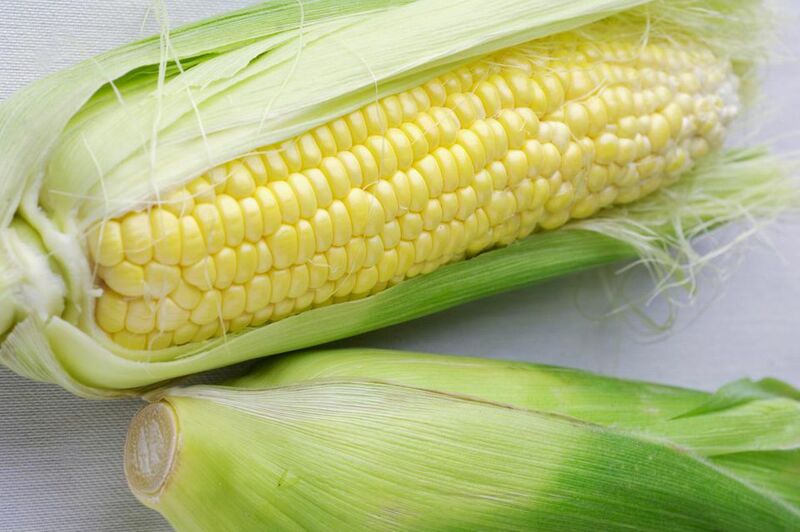 Although wheat and rice are prevalent in Mexico, corn is still the main source of grain when it comes to cooking. Most of the time it is dried and ground into a dough called "masa" and is used to make tamales, tortillas, beverages, and soups. The corn tortilla is a ubiquitous accompaniment to almost every dish in Mexico. If guacamole wasn't enough of a sign that avocados are deeply rooted in Mexican cuisine, then maybe the fact that the avocado tree is thought to have its origin in Mexico will be convincing. The Hass avocado is grown in Mexico and is not only the main ingredient in "guac" but also a star in salads, salsas, and often a topping for tacos. When it comes to using fats in recipes, you won't find butter in classic Mexican cuisine. Today, most cooks will use vegetable oil, but the more traditional fat to cook with is lard. Lard, which is pig fat, gives a wonderful flavor to refried beans and the masa (cornflour dough) used for tamales. Vegetables play a significant role in Mexican cooking, especially tomatoes. Fresh, raw tomatoes are the main ingredient in salsas and are also used as toppings and fillings for tacos and burritos. They are, however, not usually employed to make a sauce; most of the red sauces you find in Mexico are made from red chiles. Cooked or canned tomatoes also flavor rice, salads, and soups. The two most common herbs you will encounter in Mexican cooking are cilantro and Mexican oregano. Cilantro is used fresh, bringing a brightness and somewhat citrus essence to dishes. The vibrant green leaves are snipped and added to guacamole and salsas, as well as many other dishes. Mexican oregano is native to the country and related to lemon verbena. It can be used fresh or dried and differs from Mediterranean oregano in that it has more of a licorice flavor as well as hints of citrus. You may think an abundance of cheese is traditional in Mexican dishes considering restaurants seem to layer it on, but, in reality, cheese is a more recent addition to Mexican cuisine. Mexican cheeses like Panela, queso blanco, and queso fresco do well in enchiladas and quesadillas but are also delicious sprinkled fresh over a dish. Jack cheese, which hails from the U.S., also pairs well with most Mexican flavors. There are a few foods found in Mexican cuisine that are not common in the U.S., such as tomatillos, jicama, and cactus. Tomatillos are related to the tomato but are green and covered in a light brown husk. This vegetable is most often cooked and is the star ingredient in salsa verde. The root vegetable jicama contributes a mildly sweet flavor and a nice crunch to many different Mexican dishes. Cactus, known as nopales, are a delicacy in Mexico and commonly used as a base for main dishes. The prickly spines can be difficult to work with so there are special knives to make it easier.